This makes it sound like DLA was an easy benefit to get, that it didn’t require any medical evidence, and that the fraud level therefore must have been high. It is plain misleading, and the truth of what is happening is being buried under debates about Wizard of Oz songs in the charts. Let me tell you the real deal with DLA. In 2008, when I first realised I was disabled enough to qualify for DLA, I filled in a questionnaire. It was relatively simple, with tick boxes, and you were given the option to write a little more. I ticked the ones applying to me (I couldn’t cook a meal for myself), and briefly explained the nature of my illness and why that meant that I was physically unable to cook for myself. You were asked for your GP’s details, so I assumed they would phone my GP to confirm my illness and the extent of my disability. They didn’t phone. They just refused my claim. They had not met me or contacted anyone who had examined me. They just looked at my description of my disability and called me a liar. I quickly discovered that this was not an unusual case: most people were turned down initially, and you had to go to a tribunal in order to get the right decision. I learnt that although the form appeared simple enough, you would not have a chance of getting your award unless you provided medical evidence from a doctor. Why they had not written that on the guidance notes, I just don’t know. In cases where they weren’t sure, they had their own medical examiner who assessed the claimant in person. So I appealed and provided them with a letter from my specialist who knew me and my condition well and had written up the notes of my latest appointment with him. He confirmed everything I’d said on the form. In due course I had a reply from the DWP: it was still a no. This time they had called both me and my doctor a liar. I got mad, so I went to tribunal for further appeal. At any point during this process, they could have sent the DWP’s own medical examiner to my house. They often do this as a matter of routine, in cases where the level of disability is in doubt. One lady who worked for the CAB described to me how the DWP medical assessor pressurised her to raise her hands above her head, even though she had said the pain from her Fibromyalgia was too severe. She broke down from his questioning and bullying tactics, but didn’t raise her hands above her head: partly because it would have caused her unbearable pain and made her Fibromyalgia worse, and partly because if she had done it, he would have ticked it off on his sheet as ‘can raise hands above head, no problem’ and she wouldn’t have got the benefit. As it was, he marked it down on his sheet as ‘refused to cooperate with the assessment’ and she had to appeal at tribunal (she won). I broke. I cried, and felt like a hypochondriac. I would have walked out (or rather, been wheeled out) there and then, had my degree-educated, thoroughly-researched husband not been there beside me, answering for me when I couldn’t face any more. I won my tribunal. I didn’t feel triumphant; I felt traumatised. No wonder the statistics said those without CAB advice or legal support were far less likely to win their tribunal. They will have been bullied right out of there. And now, with the government cutting legal aid, I dare say those numbers of tribunal successes will be kept at a government-pleasing low, irrespective of whether or not the DWP make the right decisions. I was shocked at the effect that the DLA tribunal had on me. I had spent hours scrabbling around the internet to try and work out why on earth the DWP were refusing genuine claimants, and what were the ‘right’ words to describe your disability, all in order to get the £900-a-year benefit for Lower Rate Care. (Despite needing a wheelchair for any distance over 200 metres, I would not have qualified for the mobility component). The stress of the appeal, the being labelled a liar and scrounger knocked me. The emotional strain contributed to a worsening of my physical illness. I can quite understand why those who have mental illnesses are significantly in danger of committing suicide when they receive a wrong judgement from the DWP. A few months after the end of the appeal, the brown envelope came again – I had to reapply. The rate of fraud for this particular benefit has always been extremely low: even the DWP’s own figures estimated it at 0.5%. Frankly, I could understand why. The hoops are so hard to jump through. I will say it again: DLA was never awarded on self-assessment alone: you always had to provide written medical evidence from your doctor. They always had the option of sending their own DWP medical assessors – which they frequently did – and they always had the option to contact your GP and converse with them, which as far as I can tell, they didn’t. It was only in cases of severe and irreversible disability that they didn’t constantly reassess. This seems like a good use of the taxpayer’s money, not a bad one. And remember, DLA is a benefit to help disabled people with the extra costs of everyday living. it is not an out-of-work benefit: indeed, many people use their DLA to put towards hiring a car so that they can get to work more easily. (This is the motorbility scheme: not quite the same as saying ‘disabled people get a free car’). The biggest change is the descriptors for who qualifies as disabled. Can’t cook a meal for yourself? Under DLA: disabled. Under PIP? Not disabled. No benefit. Can’t walk more than 100 metres? Under DLA: disabled. Under PIP? Not disabled. No benefit. And what of the claims that the government want to help the most needy? What this means is that they will continue to give the benefit – the same amount of money, not an increased amount – to those who can’t walk more than 20 metres. But to all those who can only walk 100 metres (From a non-disabled space in the car park to the supermarket, but not inside the supermarket, and not the return journey to the car) – no help. All those who can only walk 51 metres (from your front door, across the other side of the road and back again) – no help. All those who can walk only 25 metres (from your front door, across the other side of the road, but not back again) – benefit cut in half. All those who are too ill to cook a meal for themselves – no help. The government will give support to those who can’t walk 20 metres, this is true. But only if you come, once a year or so, to an assessment centre that may or may not have disabled access, run by an organisation (Atos) that has secret targets to keep the payouts as low as possible, (yet no penalty if their decision is found to be wrong at tribunal). You will then be seen for 30 minutes or so by a nurse or Occupational Therapist (doctors are expensive so kept to a minimum), who may have no knowledge whatsoever about your particular condition and the complexities of it. You better hope you look ill on the day. It will mean a continual fear of not knowing whether you will get your money. It will mean that the most vulnerable in our society will feel sick to their stomach every time that brown envelope comes in. It will mean a cut of £2bn on disability allowance, but an increase of almost £1bn to pay Atos to administrate these changes. It will mean 500,000 disabled people losing all of their benefit, just so that the government could say they were targeting scroungers and could then afford to give a tax cut to the richest in society. This is what the changes will mean. Just so we’re clear. My experience sounds mightily similar to yours! I first applied for (and got 1st time) DLA in 2002. Then had to reply in 2005 and this was where the fun started. This was just before the general election where Labour got in for a third term (after the fact we were told that the civil service told the DWP to turn down ALL applications so you had to go to appeal as the minimum… there were stories in the next of identical twins with identical autism – one got it , one didn’t!). In 2008 (actually just 18 months after I’d finally won) it was reapplication time again (yay…) and guess what – refused! Asked them to ‘look at it again’, refused; went to appeal and pointed out that the Social Security Commissioner got involved last time… and magically it got re-instated! Had to apply in 2010 (again! and this time under the new Tory government) and was awarded first time (frankly astonished…). Flip. What a stressful ordeal! Can’t believe how long that took! I’m really glad that others are sharing their story – hopefully you can persuade others to persevere too. What can we do? Are we powerless? There are a lot of people who abuse the disability payments system, I know that…..BUT if the governments only response is to penalise honest people with an honest disability its the WRONG response! SO I ask again….What can we do? Are we powerless? I have written twice to my local MP and they are very polite and POLITICAL in the reply……what I mean by that is…they fill a whole piece of paper, without giving me any information! PLEASE I want to do something…I HATE BEING POWERLESS!! Thanks, lovely Karmen. The letters to MPs all help, though it feels like the most demoralising thing in the world to get the replies back, because it’s like you’ve poured out your heart to an automatically responding answer-machine! Someone on Facebook asked me what the answer was, and I suggested that the medical assessment is based on GP’s reports (since you have to provide that all anyway) and outside assessors only brought in for special circumstances). If we are trusting our GPs with the budget of the NHS, can we not also trust them to provide evidence of disability? I agree with everything you say. I too was granted lowest care component as I can’t cook a meal for myself. 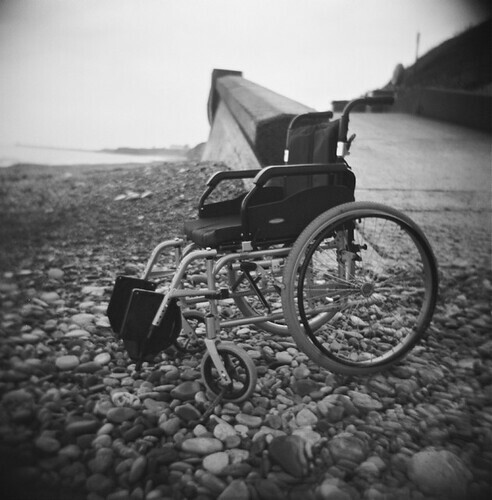 My mobility is also poor, but not poor enough for DLA, let alone PIP rules. Like you I had to appeal to get DLA, but will lose it once transferred to PIP. I’ve already been through appeals for ESA, was put in WRAG and have now stopped receiving any payment there – 12 months contributory-based only. So once PIP comes in I’ll have no money coming in at all and be totally financially dependent on my partner. I haven’t the energy or mental strength to fight any more. I just can’t believe how this government (without a mandate) are getting away with all this, and I despair at the way the poorest and most vulnerable in our society are being treated and vilified. Thanks for writing this Tanya. Could be my experience of claiming DLA written here-refused, days+hours of research, harrowing tribunal that led to further demise. Very concerning to read further restraints added to this benefit. From experience I can confirm the DLA stuff. I had to apply annually for my son who has a genetic condition & a severe learning disability and twice go to appeal which was particularly frustrating given he wasn’t ever going to get up one day and be better and also that I had to be totally negative and focus on all the stuff he couldn’t do rather than express how the DLA enabled him to have a better life. He will not be affected till 2015 as his DLA was eventually awarded indefinitely but I dread to think what will happen then. It’s both comforting and depressing to know I’m not alone in this… Really hoping it’s not too much of a nightmare for you in 2015. Tanya, let me say this loud and clear. I am truly sorry for, and disgusted at the way you have been treated. I agree that the system is flawed and that each change isn’t actually an improvement but a way of moving the bad bits around. However, I have had a slightly different experience and seen slightly different things and wanted to let you know. 1) I have Cystic Fibrosis and my life expectancy is 2 years or so. I am 24. For me, DLA has worked great. I get the lower care (applying for medium at the moment) and the higher mobility. I can walk about 5 metres extremely slowly without having to stop for breath and to cough. I can’t cook a meal, some days I can’t even get dressed. And yet, I think it is right that you have to be very disabled before you can claim benefits. I worked, first in the office and then at home, until I absolutely couldn’t any more. I lived with my parents until I married. My life choices were absolutely controlled by my illness. And so were my parents’. And so are my husband’s. I just don’t see how the government is responsible for taking care of me financially. That’s what family, friends and the savings I had from when I worked are for. 2) People do claim for DLA when they are not very disabled. I have an acquaintance who has claimed and claimed again because her child has Chronic Fatigue and has to miss a day of school a week. In my opinion (though I know it may be unpopular), the government has no responsibility at all. Life changes are required. Because that’s how people with disabilities have to live. I know that the world is not perfect. I know that there are people who don’t have family, friends and savings. But what I would like to see is people making the life changes and doing the best they can before asking too early and then getting furious when they are denied. I worked hard at life changes. I bent everything I could to make things work. And then by the time I really needed DLA, I was plenty ill enough to qualify easily and smoothly. I guess that’s just how things look to me. Dunno. Life is messy. Hey Ruth. Thanks for this. I’m interested to know – did your friend who claimed for her child with Chronic Fatigue get the payment? I can’t think what descriptor it would come under, unless the child had significant mobility problems. I think the problem with the system is that people who are genuinely very disabled are not getting help. Also, that the government are saying they will concentrate help on those who are most disabled – but then not giving any extra money. If they were giving extra money to help those who were severely disabled, that would be one thing, but to just take money away from those who are significantly but not as severely disabled does not seem right. The other huge problem is that the system cannot be trusted to make the right decision. Those who fit the descriptors are not getting the help they are entitled to. Most disabled people I know are, like you, adapting and doing their very best to live as normal a life as possible and to contribute to society in every way they can. Our society is getting better at accommodating disabled people, but stories of paralympians having to crawl onto a train show that we’ve got a long way to go. It seems right that we as a society give money to help those who are disabled. Oops, sorry. I meant to say that my friend didn’t get DLA but it still didn’t stop her claiming and appealing and therefore somewhat wasting the taxpayers’ money. I guess some of the changes are to stop people at this level of disability (or whatever you want to call it) wasting resources by claiming? I suppose that one of the biggest problems is that the money pot simply isn’t big enough. There just aren’t the resources to up people’s payments and still pay the same amount of people. And I really don’t want to be forced to make the pot bigger by my husband/father/etc paying extra taxes which will then go to people who don’t need it/could actually work/insert other here. Upping taxes so that the disability payments go farther will make people worse off in the long run. I agree with you that things are messed up. But I see it as the responsibility of people and not the government to do something about it. When you say society, I see family, friends, churches and communities and not the government. In that society people would truly understand needs and give personal and correct levels of care and finance. I guess our difference of opinion lies here – you said ‘the help they are entitled to’. I believe in fairness, justice and care but I don’t believe that I, as a disabled person, am entitled to anything from the state. I take what I’m given gratefully but I don’t demand it. Just so you know, I’m not some crazy hiding behind my computer. I am genuinely frustrated with our flawed systems and I passionately care about people who need care and help. I just would rather do it with small government and personal caring contact than big government and form-filling. P.S. I’m always scared at how comments must read to people who can’t see my face and hear my voice. I’m honestly not trying to be annoying or judgmental. I’m just trying to think things through and understand where you’re coming from too. Yay for polite debate! Ruth – I know and love your blog, so I know that you are not a crazy :-). I think we broadly agree that those who are healthy and able to work should share their money with those who are too ill to support themselves: i think you are arguing for a family/small community support, whereas i think taxes do a good job of ensuring that the rich actually support the poor and disadvantaged – because most are not as generous as your family. I don’t quite know how single parents with disabled children would afford to look after them without centralised help; or my friend whose parents are dead and who lives alone and is made housebound by ME, who is scraping by on benefits. If you cannot shop for yourself, cook for yourself, shower yourself – for the rest of your life – who is going to do those thing for you if you dont have close family? Some people are disabled late in life, and they don’t have the support networks you describe. As difficult and traumatic as it is to go through the government system, it would be very much more difficult if there were no system at all. There’s a reason that you see blind children sitting on the street, begging, in other countries but not so much here. That’s why I think it’s better, more honouring to disabled people, to give them the help that they need (should they wish to claim it, of course). Fair points, all of them. I guess I think that it’s not the very rich who end up paying the tax (since they fairly often get offshore accounts/move away/do clever, legal, dodging things), it’s the middle classes (don’t like the term but it’s the most recognisable way of saying who I mean!) who earn a decent wage but after they’ve paid higher tax rates etc can’t actually afford a TV license/to replace their old car/etc. I’d love to talk to you in person but gah for being disabled and not able to go and visit people! Ruth, love your feisty spirit. It bothers me that you have to go to extremes just to prove that which is true. I believe our agencies are similar. It appears their goal is to make people give up; not to administer the goals which should be held up. I ache for those that have no one to stand with them in these battles. I pray that you and others do not give up and God will give you strength and resolve to continue the quest and perhaps pave the way for others. I also pray that you will be treated fairly. Thanks Mark for caring all the way across an ocean. Hi sorry about above post, was just testing to see if it went on, Im having dreadfull problems with cliaming DLA to, in fact ive now had a letter from the apeal chairsman accusing me of trying to change the law, rules and regultations regarding benefits becuase ive refused the DHSS DLA department accces to my GP notes Ive said they can have acccess to my GP notes but WITHOUT access to any of the private letters ive sent to my GP but they refuse this andthreaten me and say in his letter failure to give us access to you PG notes and your private letters will result in your DLA appeal being dismissed! ID LIKE TO KNOW IF THIS IS ACTUALLY LEGAL!!!! .Threre is no legal obligation whatsoever for me to give them access to my GP notes absolutely none, there STILL supposed to give me a fair hearing. Oh gosh – this sounds so awful. I’m sorry it took so long to reply. This sounds like a tremendously difficult situation – I’m so sorry.